As you know, Peoria Toyota is Tested. Trusted. Truly Exceptional. What you may not have realized is that our used car inventory is too! At our Toyota dealership in Peoria, IL, we don’t ask you to pay an unfair price for a used car or a pre-owned Toyota. In fact, we use Internet Market Value Pricing (IMVP) on all of our pre-owned vehicles to assure you that you’re paying a fair market price. We use special in-house software that helps us compare the used car you’re interested in against the price of that same used car’s market price, so we can give you the better offer. What you’re left with is one low, non-negotiable price that allows you to finance the used car you want. 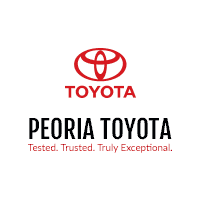 At Peoria Toyota, we believe that the value of a used car shouldn’t be based on what we paid for it or how long we’ve owned it, but rather be based on its demand and availability. We’re firmly committed to offering you a competitive and fair market value price, because we want to be your go-to used car destination. From used cars under $10,000 to pre-owned and Certified Pre-Owned Toyota vehicles, we have the used car you need to upgrade your drives. Plus, we have the friendly atmosphere and tenured staff needed to make financing it even easier. If you want to receive a fair price on your next used car, visit Peoria Toyota today. We’ll pair you with the right pre-owned car for your lifestyle and budget and help you save with our Internet Market Value Pricing!